I traveled to California with some friends and we ate at Miguel's, an amazing Mexican restaurant. The waiter brought out chips with two different dips. One looked like the traditional salsa or pico de gallo, and the other was some creamy white sauce. I found that it was Queso Blanco. 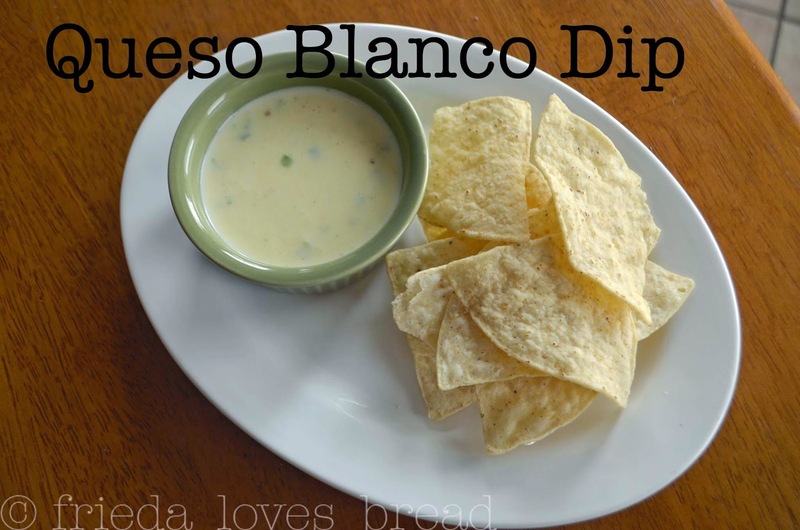 Queso blanco is a creamy, soft, mild cheese commonly used in several Latin countries, including Mexico. "Queso Blanco" is Spanish for "white cheese" and similar cheeses are found throughout the world by different names. 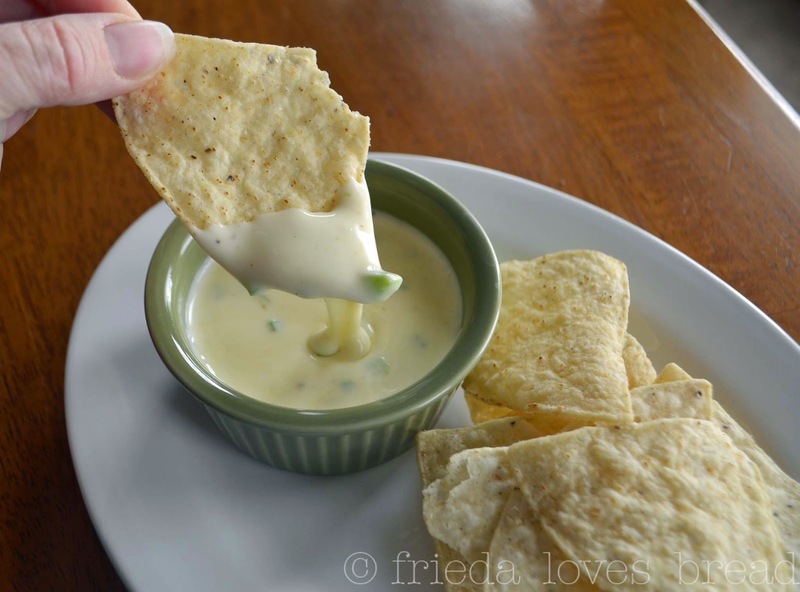 I could not get enough of this wonderful, creamy, chip dip/sauce. In fact, I didn't even eat my entree. I just sat there, gloriously dipping and munching on this new found creation. Coming home, I began my quest to find a great recipe and found one that uses white American cheese that you can find in the deli of just about any grocery store. 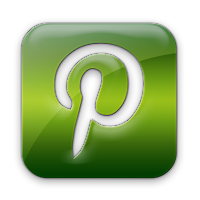 I love this recipe because not only is it easy to make, it doesn't require a whole lot of fancy ingredients. 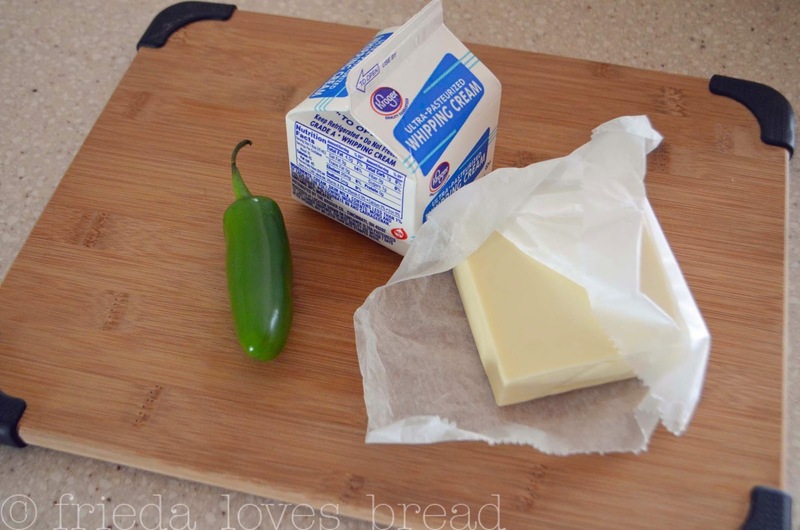 Cheese, cream (or half and half) and a jalapeno pepper was all I needed to put on my grocery list. The spices were readily available in my pantry. 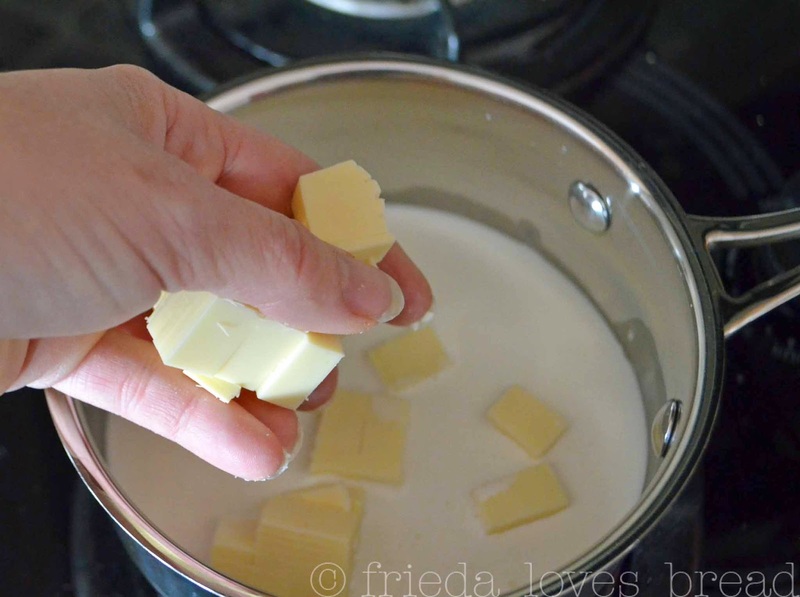 The cream is warmed on the stove and the cubes of cheese are dropped in, a few cubes at a time while stirring constantly. Stirring prevents the milk from burning and helps the cheese melt evenly. The spices and pepper are added after the cheese melts. Creamy, cheesey, goodness that I can have any time! Using a heavy saucepan on low heat pour in the half and half. Cube the cheese and stir a few cubes into the half and half. Stir continuously until cheese begins to melt, adding more half and half to the consistency you desire. 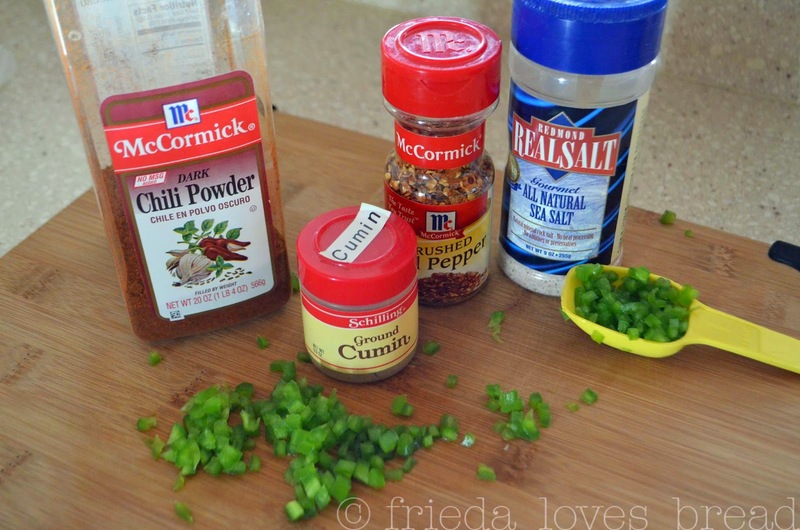 Add diced jalapenos to mixture. Stir. Begin to add the spices, tasting as you go. Leftovers can be microwaved (add more half and half or water to keep consistency.